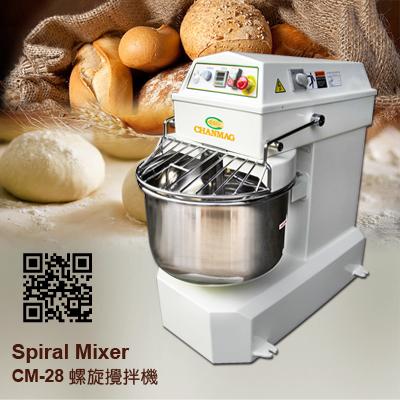 CHANMAG CM-28 Spiral Mixer is the satisfying for bakeries, hotels, restaurants, food service operations and other industrial factories. 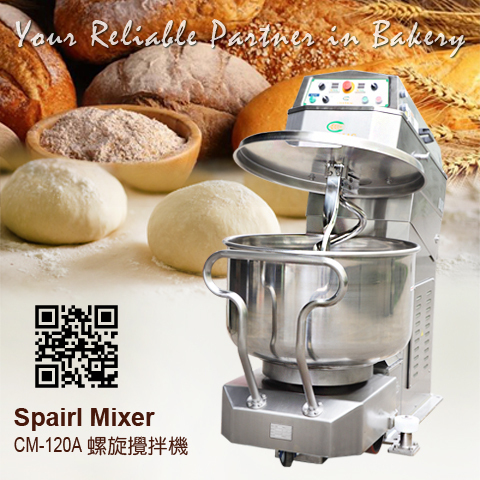 Good for breads, bagels, pizza and gentle type French dough etc. 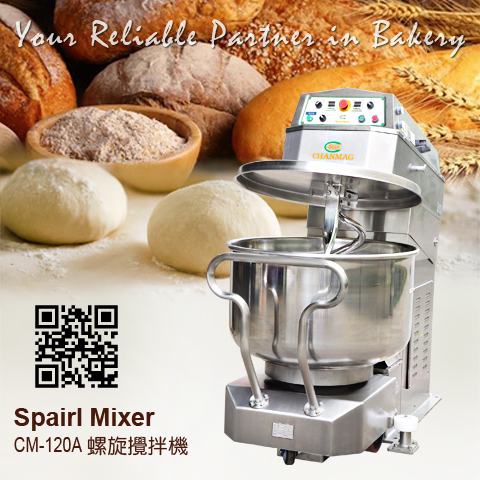 Shortens the dough kneading duration, assures to knead the deep bottom and grow in mass by obtaining a much homogenous mixture. 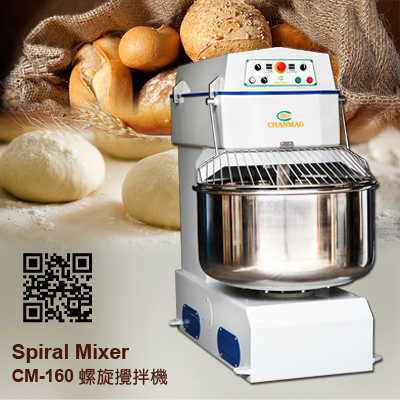 It is designed with stainless steel bowl; time adjustable, emergency stop button, automatic and manual operation mode, easy and practical working. 1. 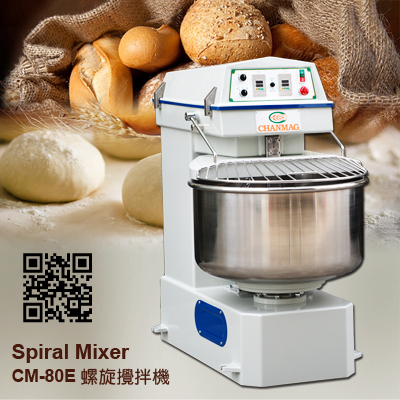 Spiral mixing arm in high speed and low speed (for 3 PH type only). 2. 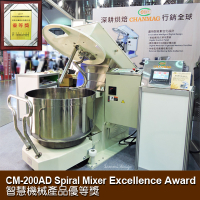 Digital timer affixed: operating convenience. 3. 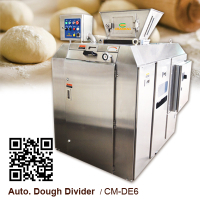 Stainless steel safety cover: hygienic and clean. 4. 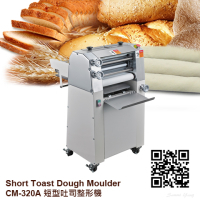 Design of machinery: solid and clean-cut. 5. Time shows up in minutes: precise and accurate.